•	Adhere to all guidelines, policies and procedures of the station, Clear Channel Communications, Inc., the FCC and all other federal, state and local laws. •	EXCEPTIONAL preparation for an air shift with use of creativity, imagination and exercise of independent professional judgment in writing, producing, interviewing, taping or broadcasting of on-air material. •	Strong online skills – maintain personality page on station’s website. Prepare, load and engage audience so that you grow monthly visitors to your page and station website. •	Adhere to all company policies and procedures regarding indecency and obscenity. •	Work an approved and previously agreed upon air shift. •	Maintain a website personality page. Must be kept up-to-date with relevant material that is appropriate for the given station. •	Search out and share all possible web content with the Program Director and Online Content Director of the given station. •	Participate in regular listening/aircheck sessions for critique with the Program Director. •	Participate in required station Programming, Promotions, and Sales staff meetings and events. •	Execute only Program Director approved interviews and events on air during the regularly assigned shift. •	Be on call for possible disasters, breaking news, or acts of nature. •	Assist with the voice over and production of paid, and nonpaid, spots required to run on the station. •	Be an ambassador for the radio station when out in public. Maintain a positive and approachable attitude when around listeners and clients. •	Strong knowledge of all FCC rules and regulations. 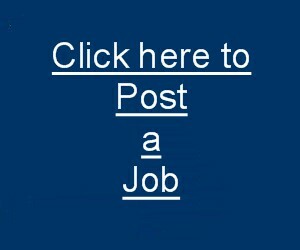 Please apply online at http://careerchannel.silkroad.com.